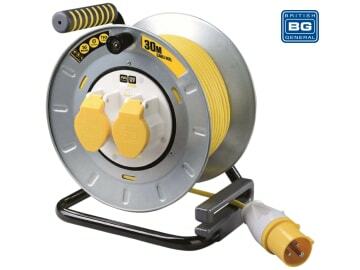 The Masterplug Pro-XT Open Metal Cable Reel is ideal for use with workshop and other outdoor tools. 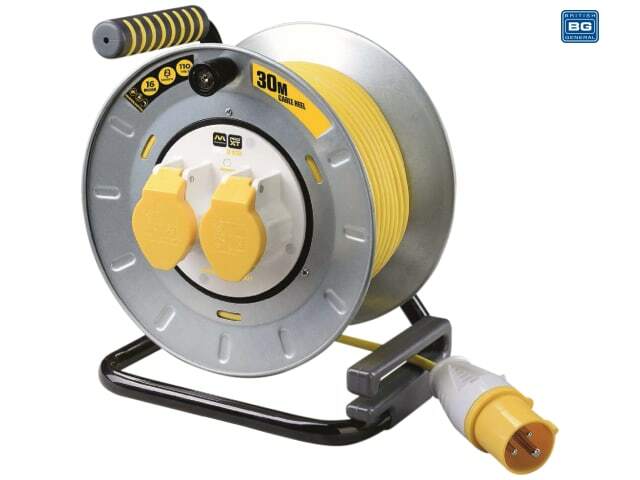 It has a robust design with two UK type sockets and a high visibility cable. The cable reel features a handy cable guide, power LED indicator and a pull out handle. For safety, it features a thermal cut-out switch.